Battersea Power Station Company has confirmed their “largest office tenant” in London will be none other than tech company Apple. The electronics giant will sprawl across six floors and 500,000 square feet inside the “central Boiler House” of the former power station. Apple has said they plan to occupy the space in 2021; many believe their presence will help the development company work towards its goal of revitalizing the historic space. 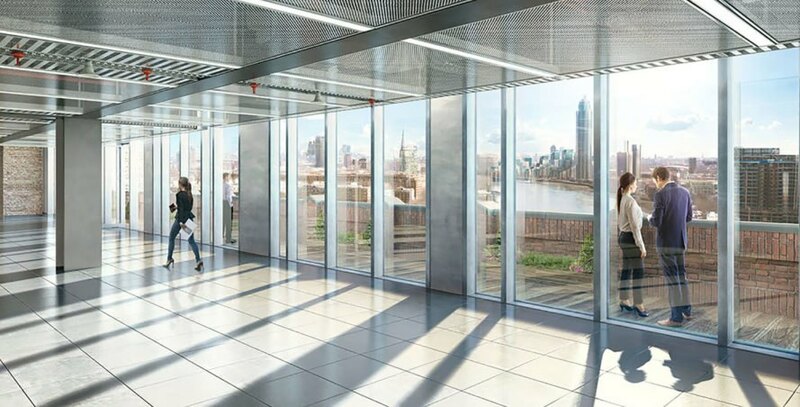 Apple will take up 40 percent of Battersea Power Station‘s entire office space, and 1,400 employees from various London offices will relocate to the large campus. The transaction is widely thought to be the “largest office letting” in 20 years in London’s West End, and negotiations took place for around one year. Battersea Power Station Development Company CEO Rob Tincknell said in a statement, “It has always been our clear objective to create one of London’s most thriving new communities and this commitment from Apple will undoubtedly help us achieve our goal.” London Mayor Sadiq Khan said he was “delighted” that Apple would be moving into the landmark power station that once burned coal and has been vacant since its decommissioning in 1983. Architecture firm WilkinsonEyre is refurbishing the iconic space. Battersea Power Station confirmed Apple will be their "largest office tenant." Apple will occupy six floors and 500,000 square feet. Apple's plan is to move in to the large space in 2021.